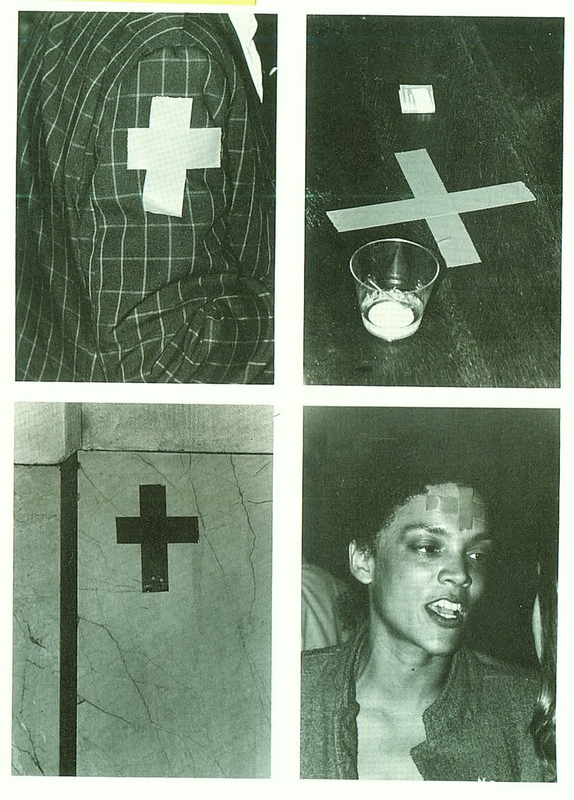 Maren Hassinger presented Crucifix/Red Cross at “Remy Presents: Project Grand Central,” an exhibition curated by Allan Schwartzman that included installations and performance art by Hassinger, Dara Birnbaum, Brian Eno, Jenny Holzer, Senga Nengudi, and Randy Williams. The exhibition was sponsored by Remy Martin. Medium: Comments: Installation and performance presented in “Remy Presents: Project Grand Central,” an exhibition curated by Allan Schwartzman that included work by Hassinger, Dara Birnbaum, Brian Eno, Jenny Holzer, Senga Nengudi, and Randy Williams. Sponsored by Remy Martin. See Violet Glaze, “The River, New Work, Ex Libris: Rethinking the Library,” Baltimore City Paper (July 27, 2005). 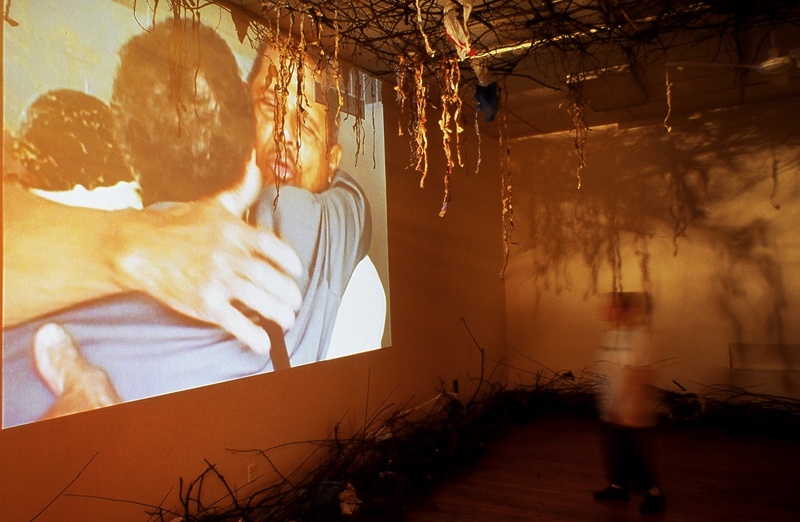 Medium:35mm slide Comments: “The River” is an installation made with tree branches, plastic bags, and old newspapers, with a ten-minute video projection. Medium: 35mm slide Comments: Installation, mixed media. Collaboration between Senga Nengudi, David Hammons, and Maren Hassinger. Supported by a CETA Art in Public Spaces grant and CalTrans. Medium: 35mm slide Comments: Collaboration between Senga Nengudi, David Hammons, and Maren Hassinger. Supported by a CETA Art in Public Spaces grant and CalTrans. Medium: 35mm slide Comments: Rojo is the performer pictured in this photograph. Collaboration between Senga Nengudi, David Hammons, and Maren Hassinger. Supported by a CETA Art in Public Spaces grant and CalTrans.